We are glad to announce the official launch of iPad in the UAE this coming Friday. @khaled Saudi over the weekend, as early as Friday in certain cities. No word about Mobily‘s iPad release. 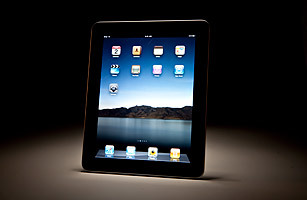 Many dedicated iPad fans has already imported the Apple tablet but interest is still high. But will people buy it from iStyle or wait for the iPad 2? of Course wait for iPad 2 and buy it online if not available within first week of launch.